Lovely photo, Julieanne. Witch hazel is such a happy flower for this time of year. Beautiful, you captured it well Julieanne. Thanks all for your comments. 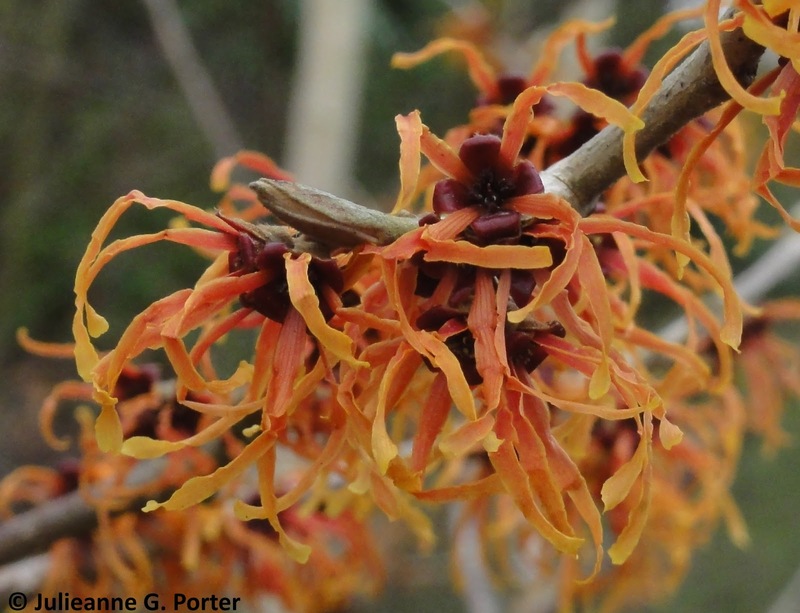 I find the orange witch hazels quite beautiful & warming this time of year. This one was Hamamelis × intermedia 'Jelena', from Sheffield Botanic Gardens. Hope to have it in my garden one day.